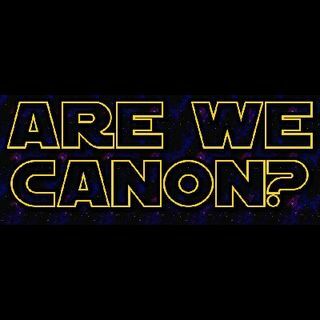 Are We Canon Episode 10: Welcome Back! | Are We Canon? Explicit Are We Canon Episode 10: Welcome Back! After a short hiatus, Sean and Panda hop back in the cockpit to get caught up on all things Star Wars. Disney attractions, "The Mandalorian," new books, and a new movie are on the docket for this months show!